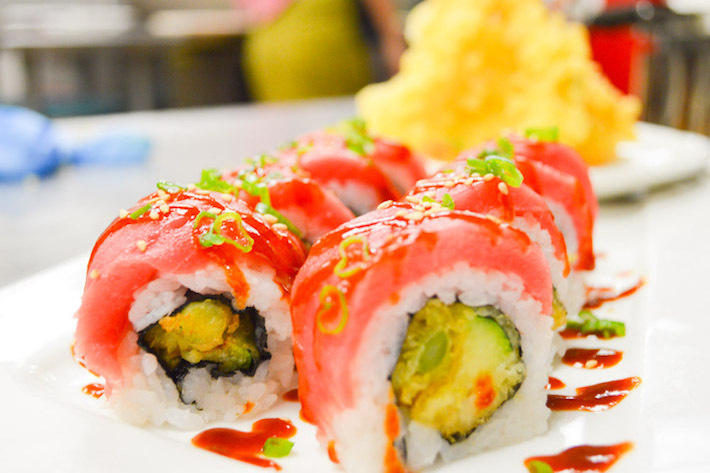 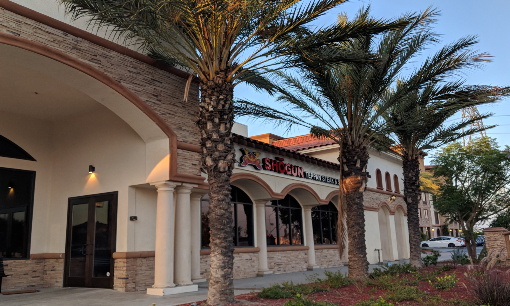 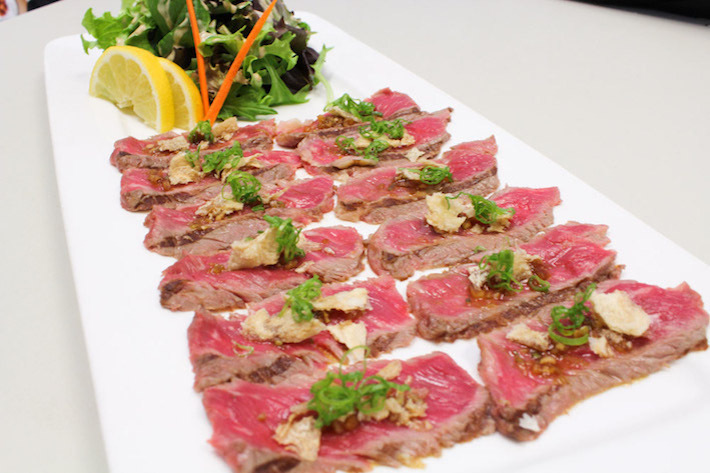 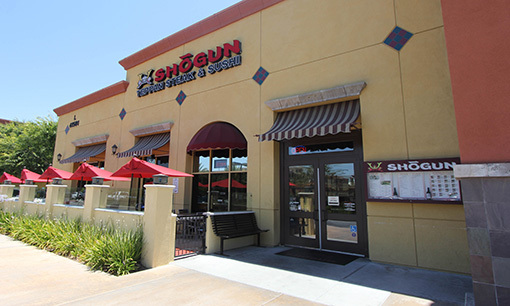 Shogun has 9 locations in Southern California. 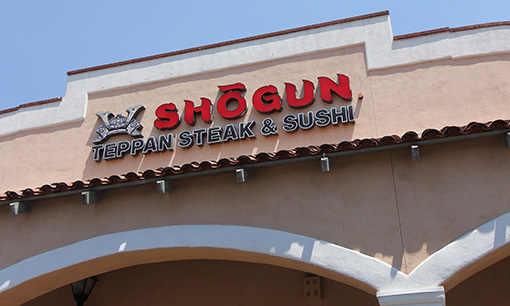 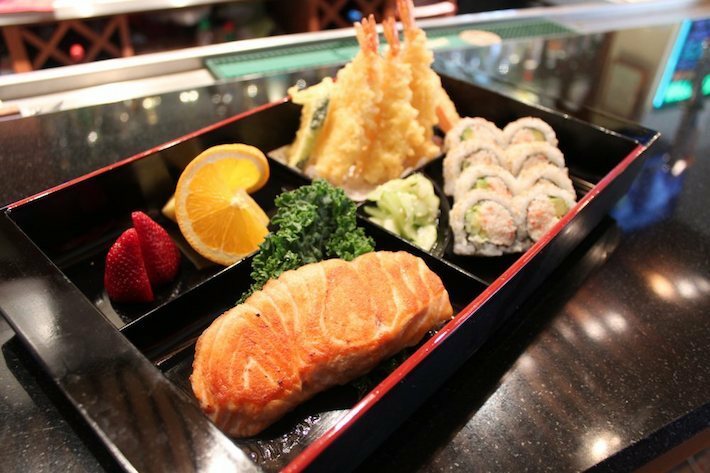 Make SHOGUN your place to dine. 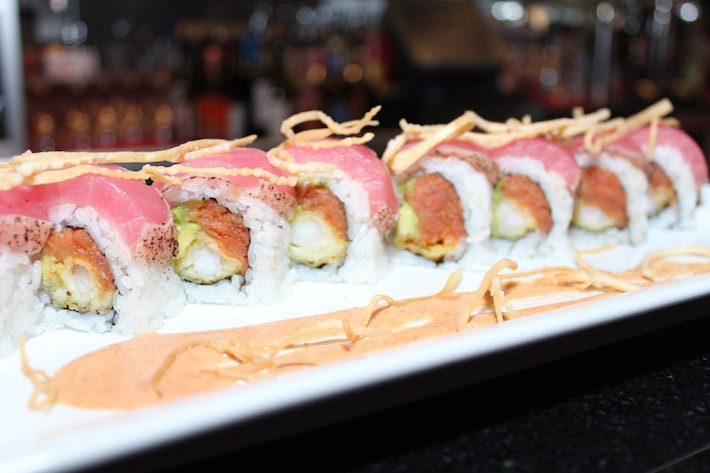 Start by requesting a reservation via telephone. 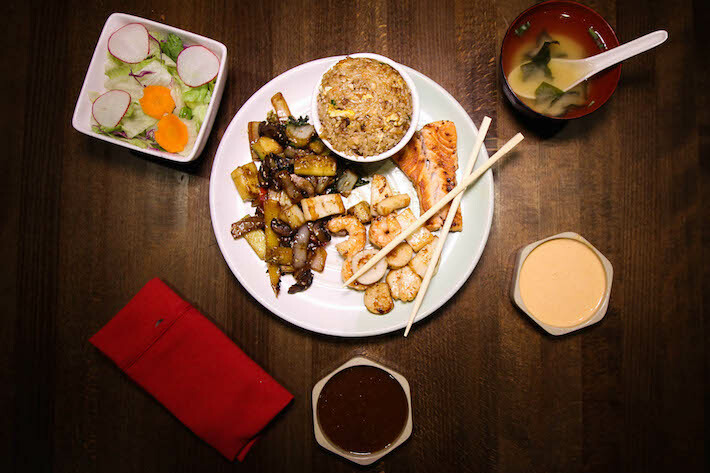 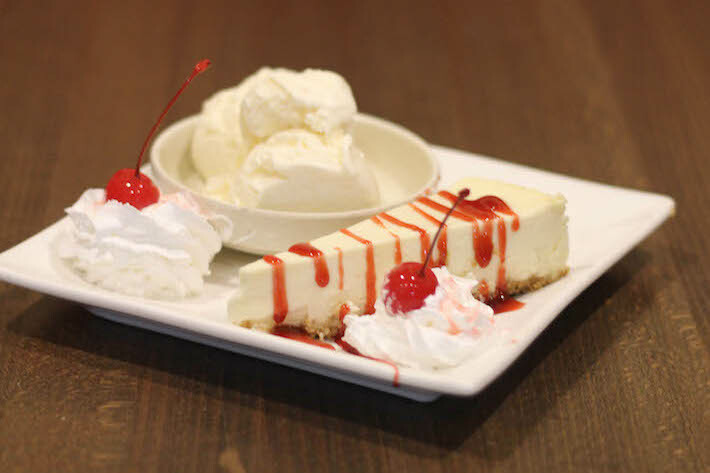 When your party orders a minimum of four dinner entrees or more, we will buy a dinner for your honored guest. 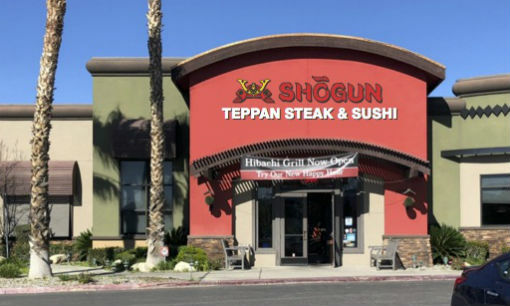 (Equal or lowest priced dinner) Not valid with any other offer. 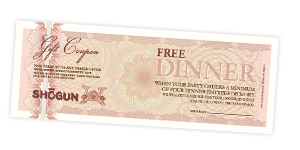 Not valid on New Year's Eve, Valentine's Day, Mother's Day and Father's Day. 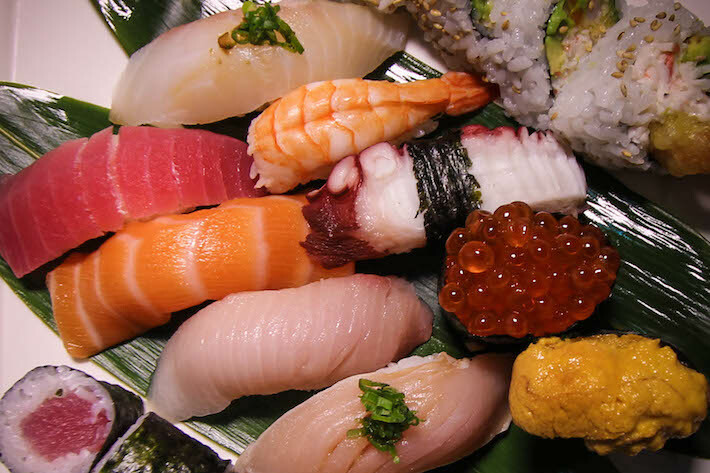 Click here to Download coupons. 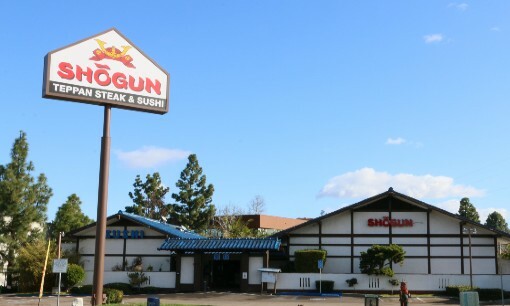 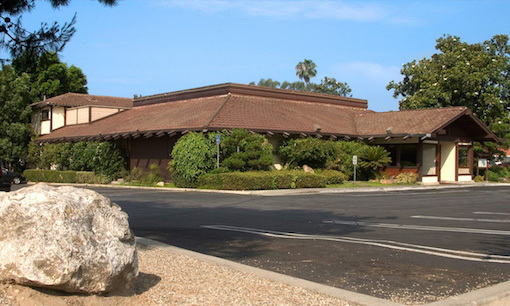 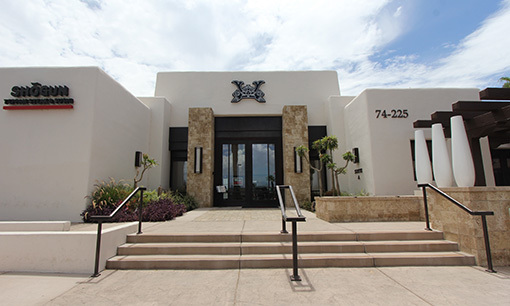 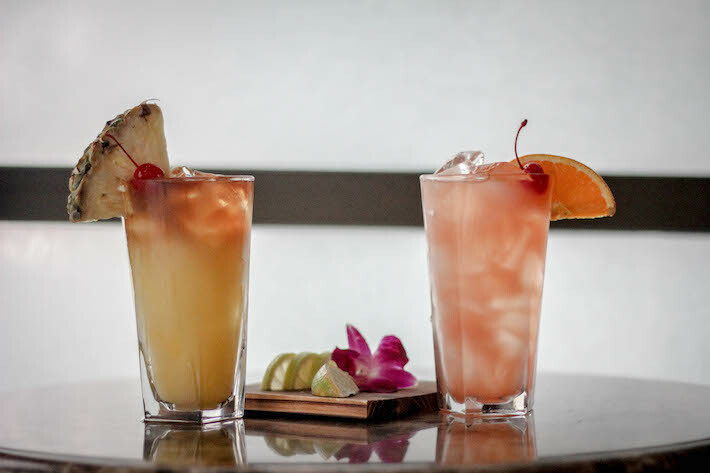 Established in 1980, Shogun Restaurant has earned its reputation for excellence since first opening its doors in Pasadena. 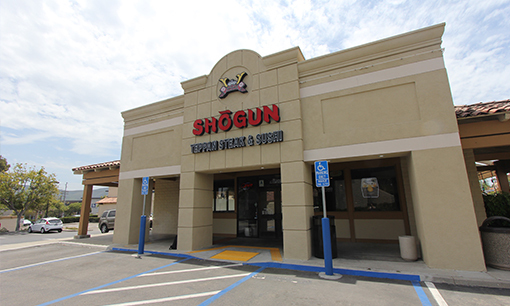 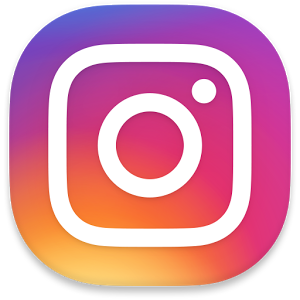 Founder and owner, Bruce Kanenobu, continues to expand his vision by launching new locations throughout Southern California, with the most recent grand openings in Corona and San Marcos. 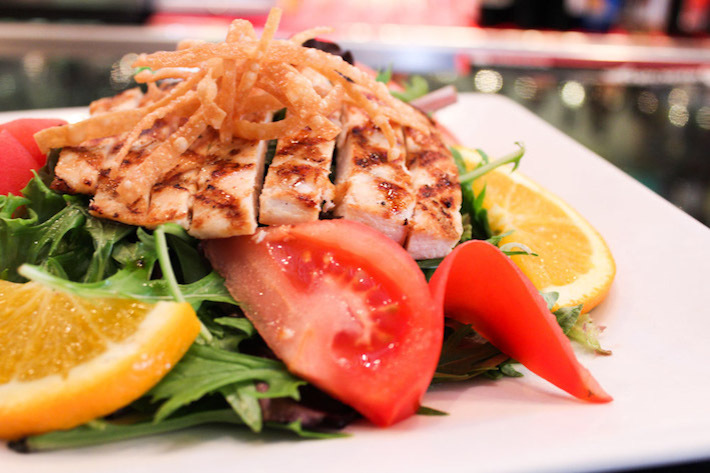 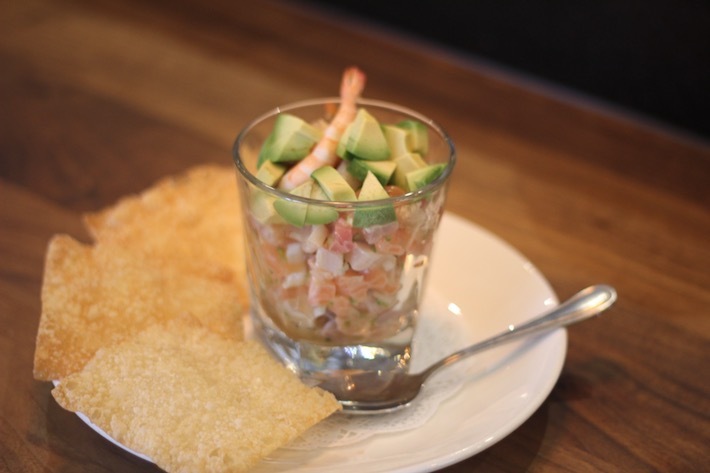 The ongoing success of our restaurants can be attributed to our dedication to provide unparalleled customer service. 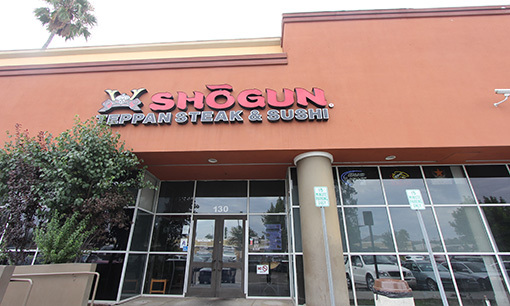 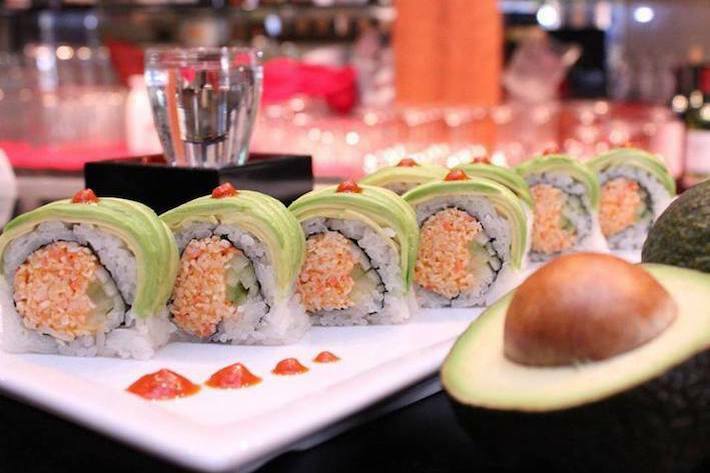 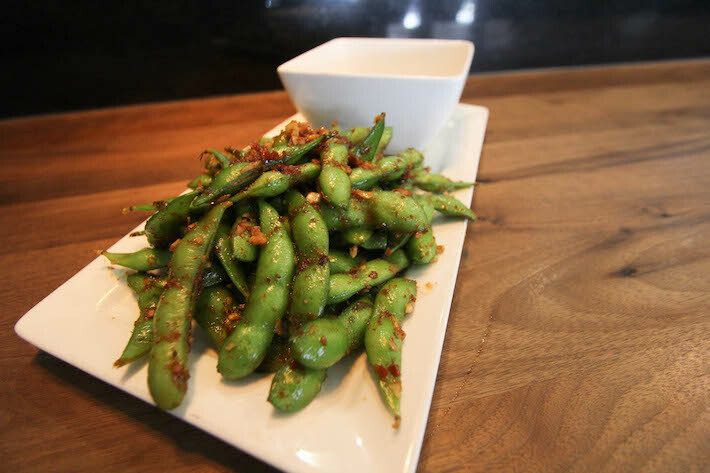 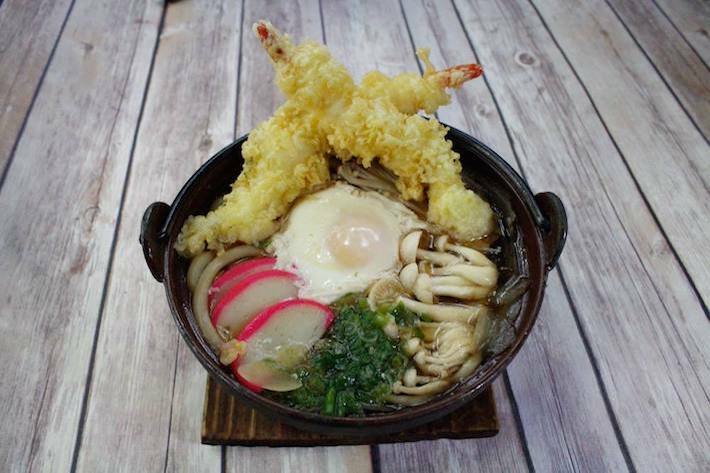 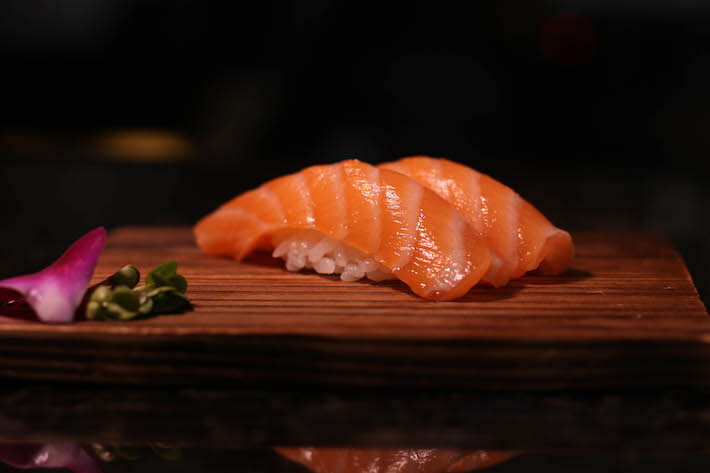 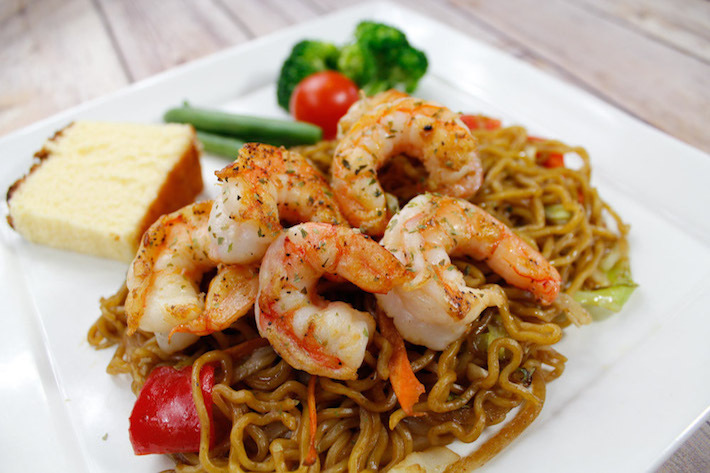 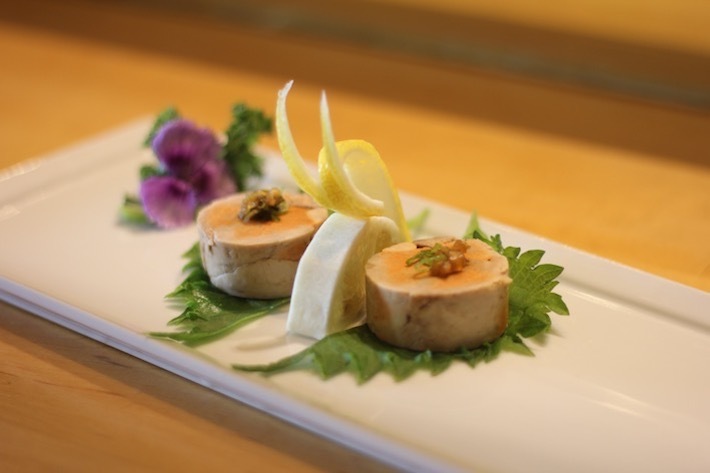 Discover a whole new dining experience at Shogun Restaurant. 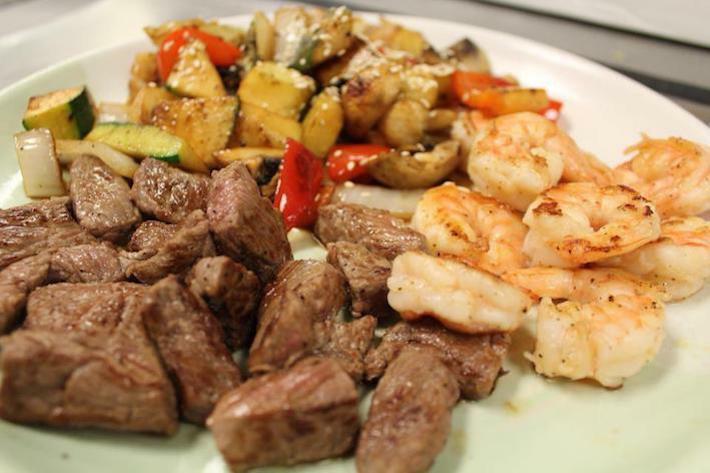 Let our master chefs dazzle you with their samurai-like swordsmanship as they skillfully slice, dice, juggle, and entertain, while preparing delicious entrees on a sizzling Teppanyaki grill.